This software is licensed for use by a single person. One person per license please. After you receive your emailed receipt from PayPal you will need to register your software on each device you will access it from. You will need to enter the date and email address of your PayPal transaction to register your software. These numbers can be found in the upper-right corner of your emailed receipt. This software is licensed for a time period of one-year. Continued use after each one-year license period will require a $29.95 renewal fee. 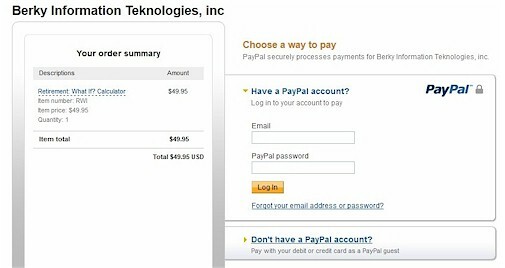 If you do not have a PayPal account use the "Don't have a PayPal account?" link in the lower-right area of the next page (after clicking on the "Buy Now" button).